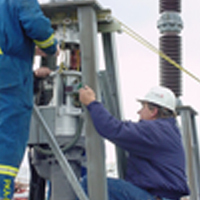 Field Services | ROHE International, Inc.
ROHE International, Inc. maintains a staff of fully qualified engineers for services on all our products, especially for compressors and high voltage circuit breakers. All our engineers have several years experience and are fully qualified. We assist customers with the installation of new products and we can provide technical supervision for repair and overhaul of compressors and H.V. Circuit Breakers. The timeframe can be from a single day up to several weeks or months. We also provide turnkey overhauls on-site for Compressors and for H.V. Circuit Breakers. OEM’s have asked and hired our engineers to assist during times of extreme heavy workload. Availability of Service Engineers depends on workload.